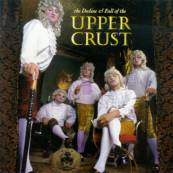 he Upper Crust have released two albums: Let Them Eat Rock and The Decline And Fall Of The Upper Crust. You'll find complete production credits and song lyrics by following the links below. The Decline & Fall of the Upper Crust, the newest release. Released by Emperor Norton on October 14, 1997. 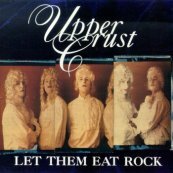 Let Them Eat Rock, the Upper Crust's debut. Released by Upstart/Rounder iin September 1995.